Actions might be taken against the former Supreme Court judge Justice AK Ganguly, who has been accused of sexually harassing a law intern. Union Minister Sushilkumar Shinde has reportedly said that Law Ministry’s opinion has been sought by the Home Ministry for sending Presidential reference to the Supreme Court in connection with Justice AK Ganguly’s case. The Home Ministry took this step after Parliamentarians across party lines demanded for the removal of Justice Ganguly from the post of West Bengal Human rights Commission chairman. The Supreme Court’s inquiry into the sexual harassment allegations against Justice A K Ganguly has held the retired judge prima facie guilty of "unwelcome behavior" and "unwelcome conduct of sexual nature" with the young lawyer who was interning with him in December 2012. The clamour for Justice Ganguly’s resignation from the post of the Chairman of the West Bengal State Human Rights Commission, has increased. West Bengal's ruling Trinamool Congress has been at the forefront in protests. A demand for Ganguly’ resignation has also been made by the Law Minister Kapil Sibal. 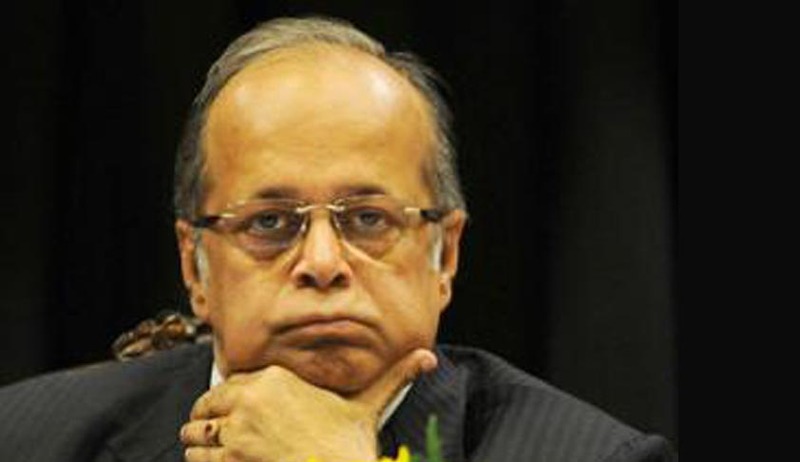 But amidst all the hue and cry about his resignation, Justice Ganguly has firmly hung on to his post and refused to reveal any details about the incident to the media on the grounds that it is “nobody’s business”. Additional Solicitor General Indira Jaising had earlier disclosed the affidavit by the law intern, which included details of what actually had happened on the night of December 24, 2012, for which Justice Ganguly stands accused. This affidavit was also submitted to a Supreme Court panel, which accused Ganguly, finding him guilty of "unwelcome behavior" towards the intern.